At 2:36 p.m. I was walking along the trails in Cape May Point State Park. There were Yellow-rumped Warblers and sparrows everywhere, an almost unbelievable number of birds. 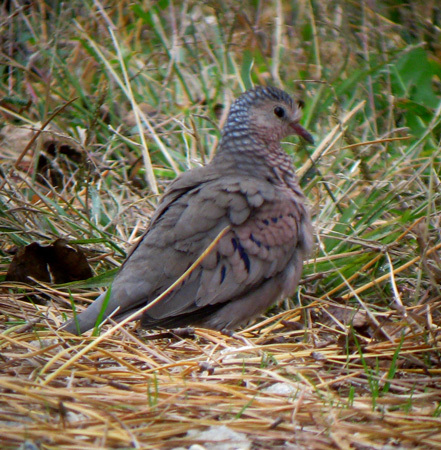 All of the sudden, I noticed a small bird with bright red patches in its wings land on the trail not far away. 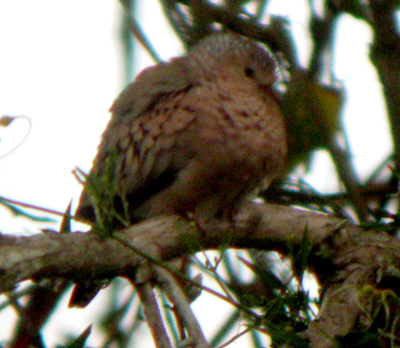 I immediately thought it was a ground-dove, and I quickly got my binoculars on it and confirmed that it was a ground-dove and specifically a Common Ground-Dove. I have seen and handled this species in the past, and I immediately recognized it. 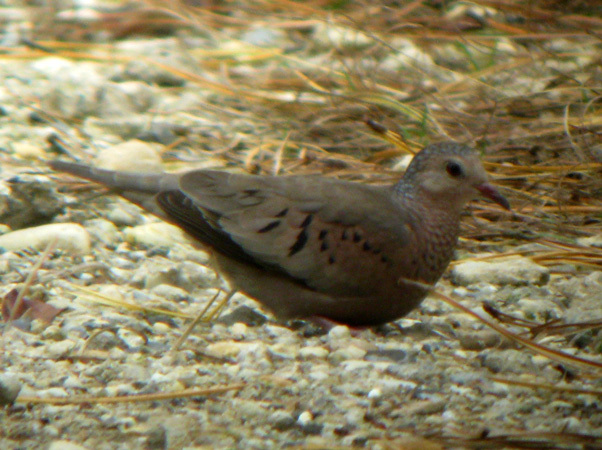 I grabbed my camera and was able to get video and still photos through my spotting scope. 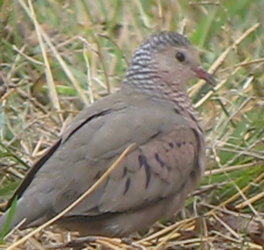 I alerted a nearby birder, Chris Petrak from Vermont, to the bird's presence and he was also able to get a few pictures. He allowed me to borrow his cell phone, and I called David La Puma, who spread the word. Other birders began arriving a few minutes after 3 p.m.; a few people were able to see it, but then it unfortunately flew away and was never relocated. 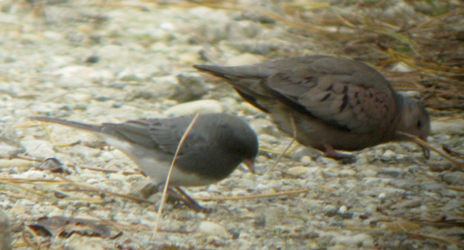 There are two or three previous records from New Jersey, the most recent being a single bird observed at Nummy's Island on October 6th, 2009 (Walsh et al. 1999; 2009 Sighting). I feel very fortunate to have stumbled upon such a rare species. 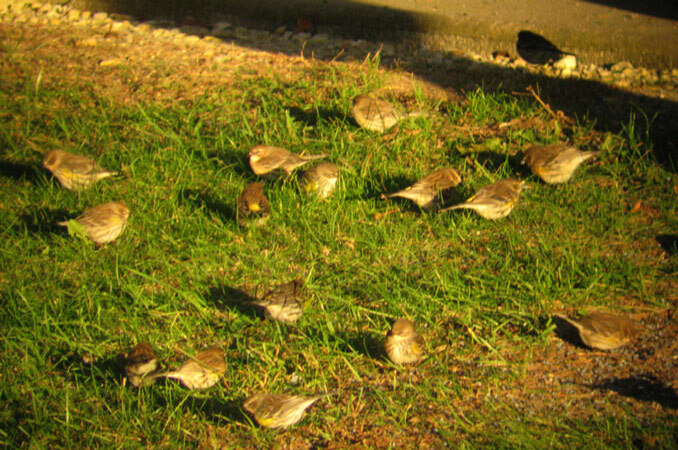 A pile of Yellow-rumped Warblers, just outside the picnic shelter beside the hawkwatch platform. 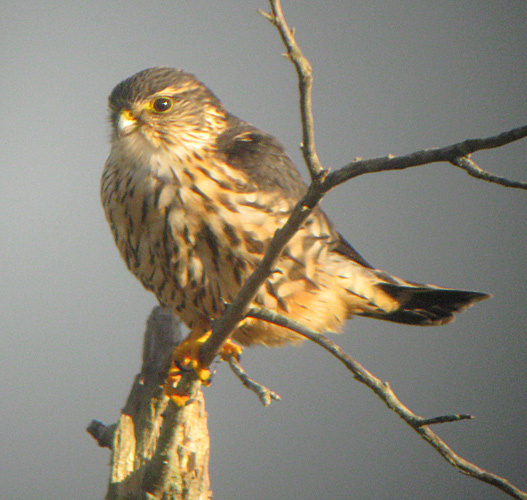 In addition to the birds mentioned above, other birds of note were Eurasian Wigeon and Golden Eagle. However, the true spectacle was just the overwhelming number of individual birds. Walsh, J., V. Elia, R. Kane, T. Halliwell & D. Sibley. 1999. Birds of New Jersey. New Jersey Audubon Society.